Long Island QDRO Attorney | Petroske Riezenman & Meyers, P.C. Ending a relationship is never easy. With a divorce, there are many different issues that will need to be handled. On top of the emotional challenges, there are complex logistical matters that must be resolved before the divorce can be finalized. If a major part of your finances is comprised of retirement benefits/assets, you need to know how to effectively protect your rights and interests through your divorce. Too many divorcing couples make mistakes when dividing up their retirement benefits, costing themselves a lot of money in the process. Here, our Long Island divorce lawyers provide an overview of an important legal tool that can help divorcing couples protect their retirement assets: a Qualified Domestic Relations Order (QDRO). A Qualified Domestic Relations Order or QDRO is a special court order that allows for the splitting of certain assets (retirement plans, 401(k)s, pension benefits, etc.) by recognizing that there is a joint marital ownership of the benefits. In other words, an alternate payee’s legal right to all or a portion of the benefits is established by creating a QDRO. This is important as it allows divorcing couples to more easily divide these assets/interests without incurring penalties and fees. Divorcing couples being hit with early withdrawal penalties or other significant tax penalties. The bottom line: If you or your partner has a substantial amount of retirement benefits, and that account is only in one person’s name, you need a QDRO. Notably, a QDRO can be used by a plan owner to tap into their retirement savings to satisfy spousal support obligations or child support obligations. This can make it a lot easier to deal with the financial headaches that are often associated with divorce. Specific procedures must be followed when using a QDRO to divide property, pay alimony, or pay child support. To be legally valid, a QDRO must conform to the requirements set forth by the United States Department of Labor (DOL). It is crucial that your QDRO is prepared by a skilled Long Island family law attorney who has experience drafting these types of documents. It is best to get a QDRO prepared early on in the divorce process because the QDRO must be approved by the court before the divorce can be finalized. 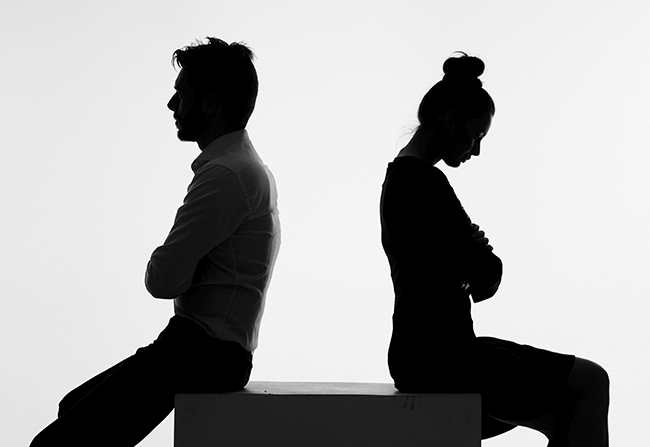 At Petroske Riezenman & Meyers, P.C., our Long Island divorce attorneys have extensive experience drafting Qualified Domestic Relations Orders (QDROs). To find out more about what our legal team can do for you, please do not hesitate to contact us for a free, fully confidential consultation. From our office in Hauppauge, we represent clients throughout Long Island, including in Suffolk County, Nassau County, Brooklyn, and Queens.